Don Ganje explained the Como Park Master Plan at a District 10 Community Council open house meeting held Mar. 30, 2009 at the Street Car Museum. The best way to view videos is to choose “HQ” full screen. Can you explain how Como Park is financed? When asked to explain how various parts of Como Park are financed, Mike Hahm did his best in this “off to cuff” reply at the District 10 Community Council “Como Park Master Plan” open house at the Street Car Museum, March 30, 2009. 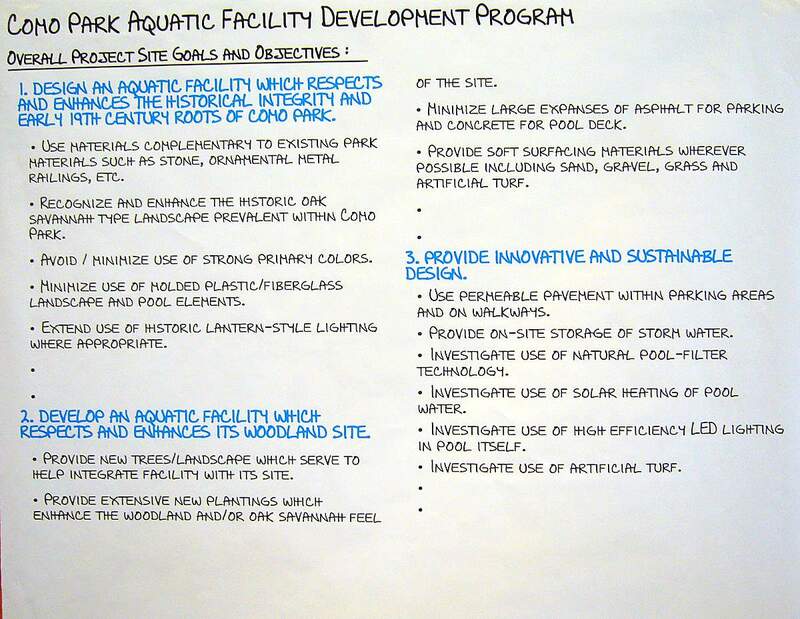 The Como Park swimming pool replacement design process began with the the formation of a design task force made up of community members, city staff and external aquatic consultants. 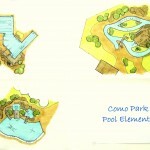 The process to design a replacement for the Como Park swimming pool began Oct., 2008. 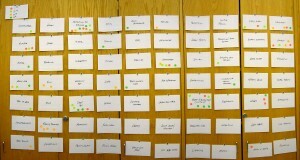 The design task force members brainstormed and voted on key concepts. Project manager Don Ganje presented design concepts his team thought the group was asking for (4 pg PDF). The committee was told to voice their opinion, yes or no, as they went through these lists. 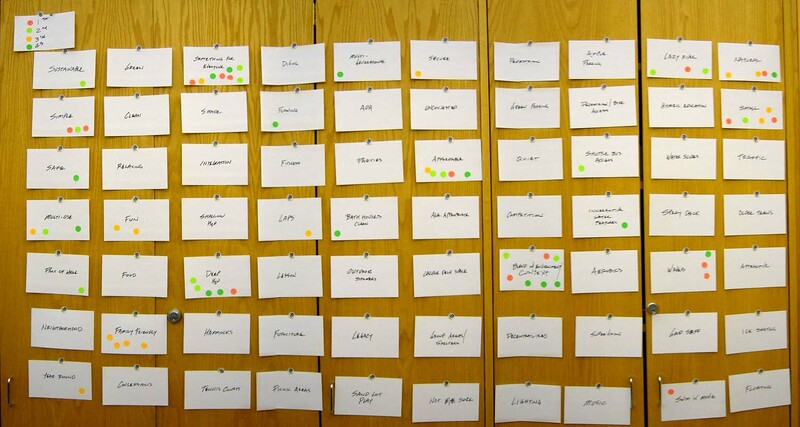 A 2 day design “charrette” was open for community input. Five design concepts were presented on day one. 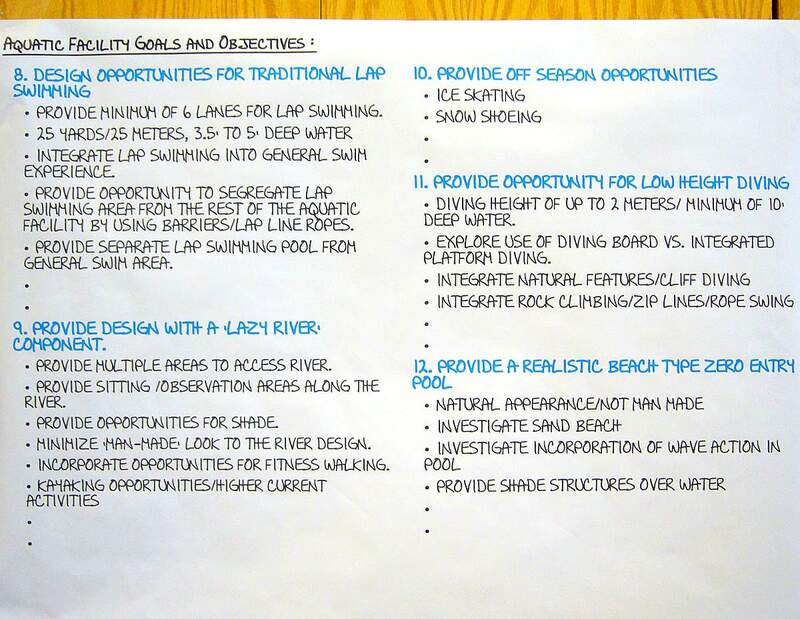 Based upon feedback and comments, two design concepts and 6 pool features were voted on during the second day. Parking and traffic circulation was also addressed (Don Ganje presentation in video below). 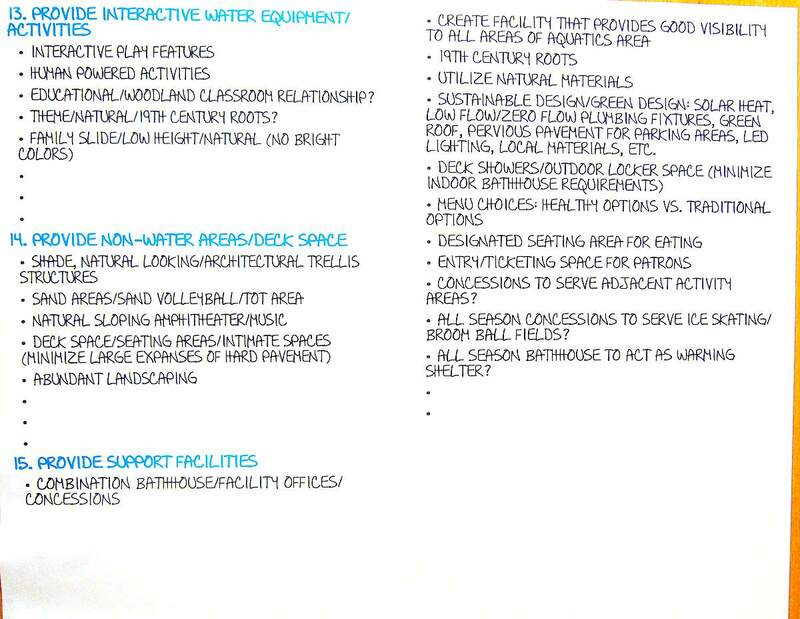 Consultants from US Aquatics, Anthony Kell Architects, City Parks Design Staff, Lynn Waldorf, and others collaborated to come up with a draft schematic design which was presented at the March 26 meeting (video below). After comments the design was approved for further detailing. There was a town hall meeting at the Como Park Pavilion Sat. morning, Feb 28, 2009. Senator Ellen Anderson addressed the group, responded to questions, and made note of suggestions. Town Hall Meeting, Ellen Anderson from Art Oglesby on Vimeo. Mayor Chris Coleman met with the Saint Paul community Tuesday night, Feb. 24, 2009 to discuss budget cuts. 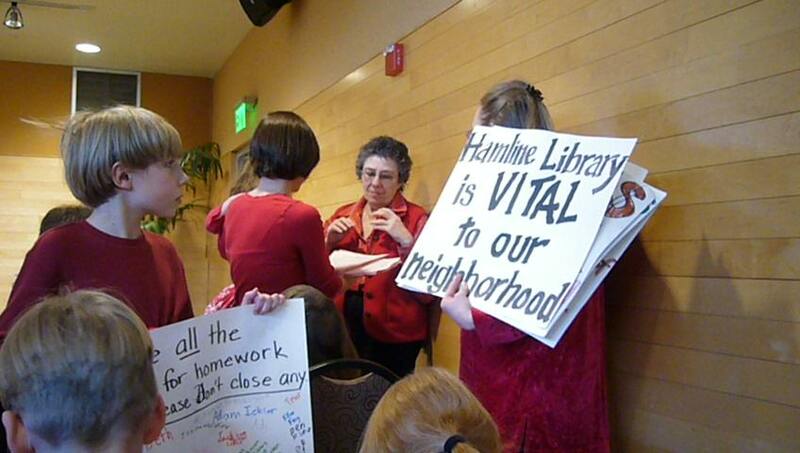 To show their opposition to the proposed closing of their Hamline Midway Library, hundreds came dressed in red. Several families taught their children how to petition their government by making signs and speaking up during the question and answer segment. They also created a “Save our library” blog (click link for updates and videos). The Star and Tribune covered Mayor Coleman’s previous meeting – “Mayor gives St. Paul libraries a dose of good and bad news“. 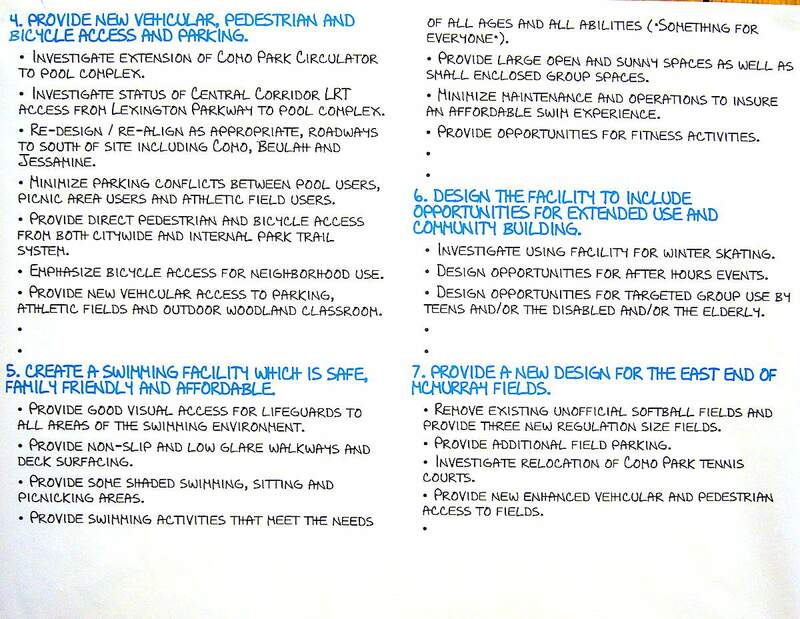 Last fall the City of Saint Paul explained the process for redeveloping the Como Park swimming pool. 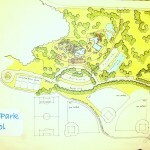 The adjacent Woodland Classroom and McMurray Field area along with their parking and traffic needs will be included. You can learn more by clicking the link below. 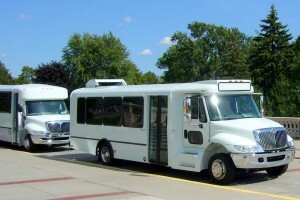 I was invited to preview two buses being considered for next years Como Park Shuttle bus service. The front bus is has “kneeling” feature and an ADA-compliant ramp which quickly deploys for the easy loading and unloading of special needs passengers or those who wish to bring along strollers. The rear bus has the low emission, 2008 standards diesel engine. It was quieter and much cleaner. Como Campus director, Mike Hahm, explained that we need buses that fit the budget, the program needs, and can be obtained within the time line requirements (Spring, 2009). We rode this bus to the proposed park and ride parking lot on Como Avenue, south of the the Fair Grounds. The ride took seven minutes. With a three minute load/unload cycle each bus could do three loops per hour. Three buses could transport about 300 passengers each direction per hour with a bus leaving about every 7 or 8 minutes. When watching the video below remember that the bus with the ramp still had the old 2004 engine. Compare it to the rear 2008 lo-e bus as it leaves the curb and to the standard school buses that pass by. Como Park Shuttle Bus preview from Art Oglesby on Vimeo.